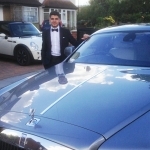 Signature Car Hire supplies hire cars for all occasions including special occasions like weddings, anniversaries, birthdays and proms. 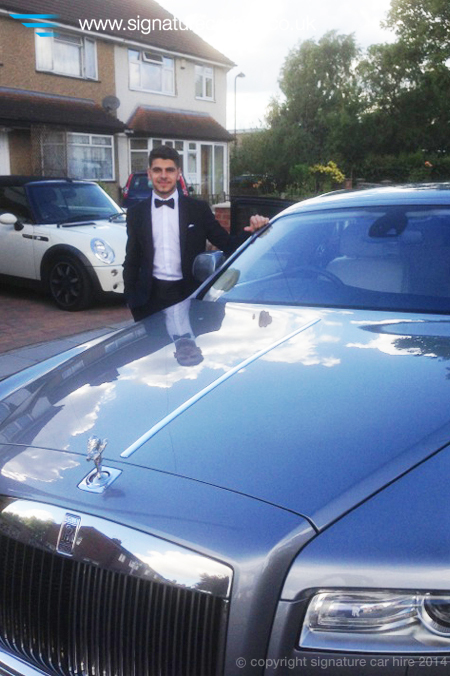 This month, Dee was proud to help business associate George Haddad select and supply a very special car for his son Paul’s prom night. 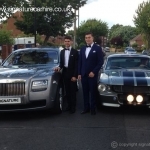 George has a fantastic auto repairs centre so knows his cars, but wanted a truly special vehicle to give to his son as a surprise gift to use at his prom. 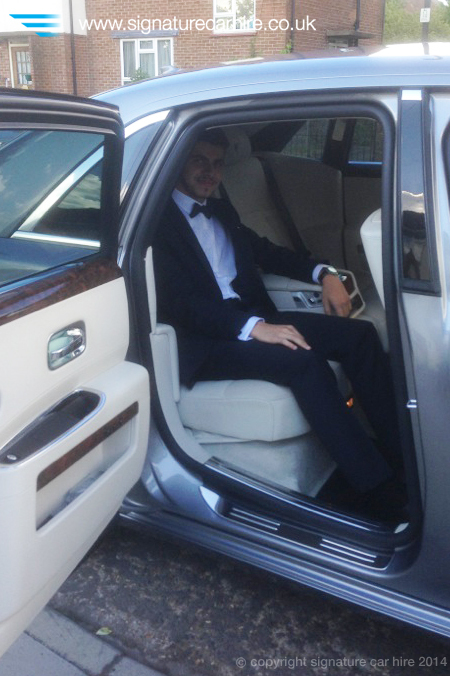 Dee invited George and his daughter to the Signature Experience Centre so they could view the range of prestige vehicles available for the prom surprise. 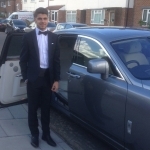 George selected our luxurious Rolls Royce Ghost which was an excellent and fitting choice for such a momentous occasion in his son’s life. George was delighted with the vehicle and equally excited about surprising his son. When presented with his carriage for the evening Paul was not only thrilled with the surprise but also ecstatic about the choice of car! 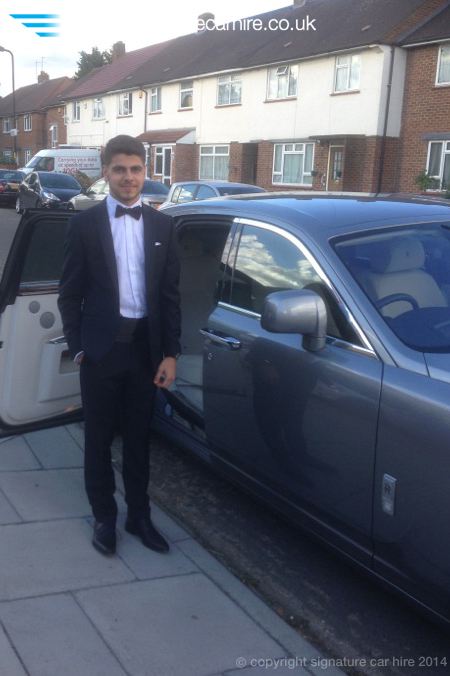 His entrance at the prom was the highlight of his evening and drew lots of attention from fellow guests. 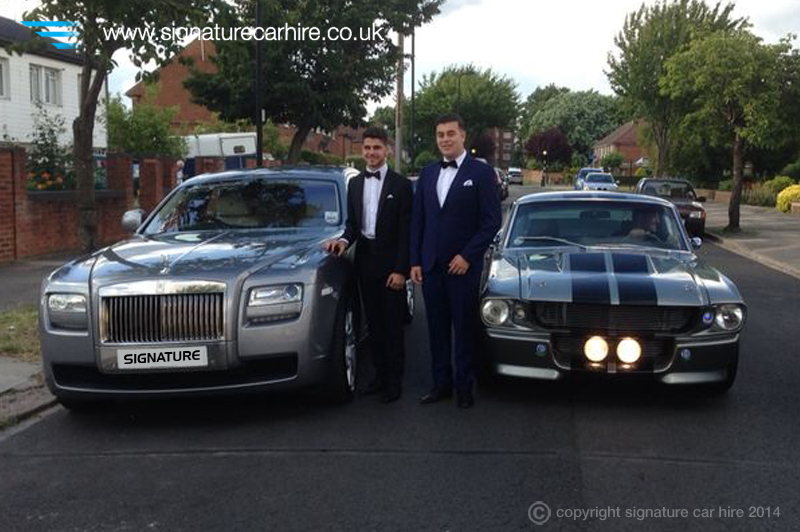 If you are looking for a prestigious car to hire for a special occasion then Signature can help supply cars either on a self-drive hire basis or with one of our executive chauffeurs. If you need assistance, or would like to see our fleet of prestige and performance hire cars, please call 0845 370 2222 or contact us here. 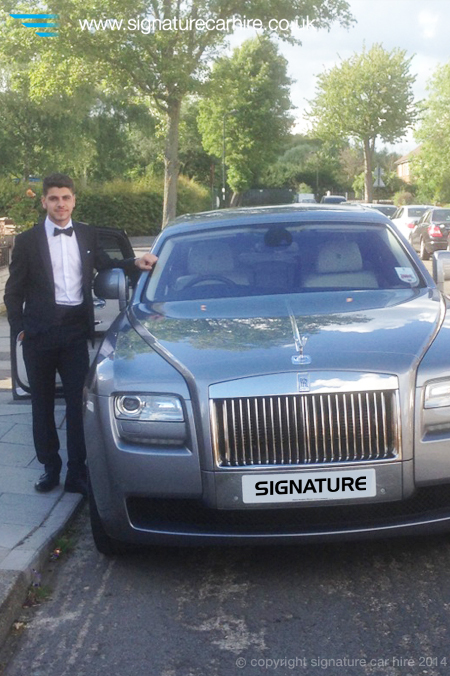 Rolls Royce, Services, Signature News. permalink.